Ceramic Tile one of the most abused and overlooked floors and wall surfaces in the home and business. Simply because of the care involved in cleaning it. Grout is porous, allows dirt and other contaminants to be trapped below the surface, making it near impossible to remove with regular mopping. Using the correct cleaners, sealers, equipment and the know-how. 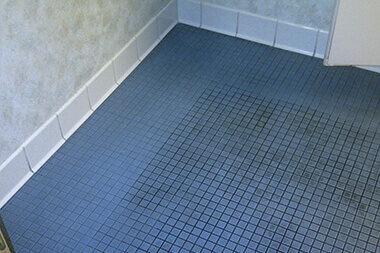 We at Hands-On Cleaning can have your tile looking as good as new.